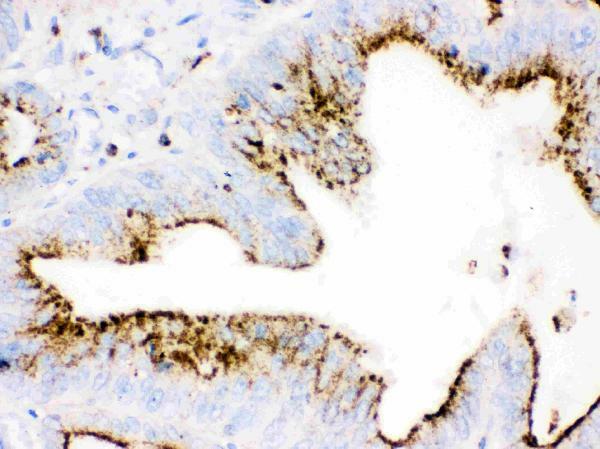 Mouse IgG monoclonal antibody for Cathepsin D, cathepsin D (CTSD) detection. 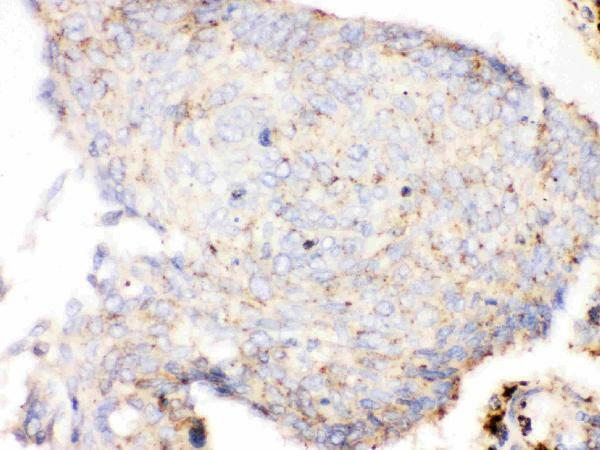 Tested with WB, IHC-P in Human. No cross reactivity with other proteins. CTSD: Expressed in the aorta extrcellular space (atprotein level). Lysosome. Melanosome . Secreted, extracellular space . Acid protease active in intracellular protein breakdown. Cathepsin D is one of the lysosomal proteinases. 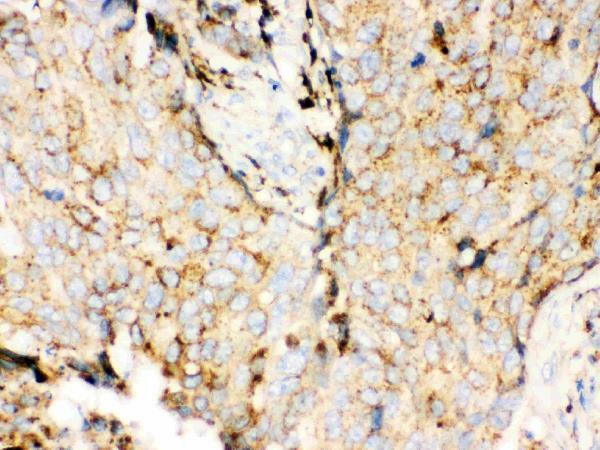 It is ubiquitously expressed and is involved in proteolytic degradation, cell invasion, and apoptosis. Cathepsin D is mapped to chromosome 11. The amino acid sequence predicted from the cDNA sequence shows that human cathepsin D consists of 412 amino acids with 20 and 44 amino acids in a pre- and a prosegment, respectively.